For 30 years, through the 1930s, 40s and 50s, a uniquely American art form spread in Technicolor from Hollywood across the world. Now, the very best scenes from the Golden Age of cinema are in a nonstop, brilliant homage to the movies--That's Entertainment, Part II! 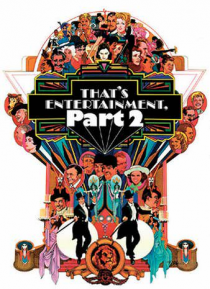 Narrated by Fred Astaire and Gene Kelly, this epic picks up where That's Entertainment! left off, but as well as highlighting fabulou… s musical numbers, this film features such comedy and drama from such non-musical stars as Greta Garbo, Clark Gable and the Marx Brothers!